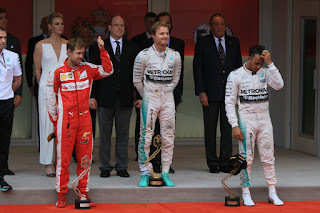 Once upon a time, Formula One fan and more general wit Clive James noted with his typical dryness that "it is said these days with increasing frequency that Monaco makes a nice change from Grand Prix racing". And with but the latest visit now upon us, it's hard to argue with his sentiments. Really, what is it with the place and its 'jewel in the crown' status in F1? There are so many reasons to dislike Grands Prix around the Principality. If you're to be critical the Monaco round is an anachronism. If you're to be very critical, it's an absurdity. 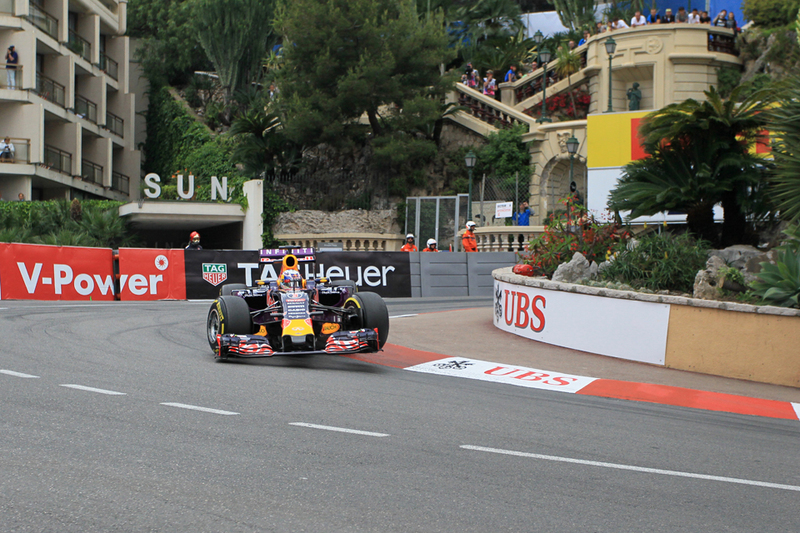 To adapt the saying, if the Monaco Grand Prix didn't exist then there is no way you could invent it. A narrow and bumpy, as well as tortuously sinewy, tunnel of barriers. Famously Nelson Piquet described its challenge as like trying to ride a bicycle around your living room. The cars never are allowed close to their full potential and that has been the way for decades. No-one can pass here, and that's been the case ever since the insertion of the 'swimming pool section' (apparently to give more room for grandstands...) in 1973. As has been the case for just about all of this time qualifying will do a lot to frame the race result. It doesn't get much better off the track either; cramped and claustrophobic as well as with various ostentatious poseurs who in all probability don't care much for the sport other than in that one weekend of the year. But perhaps, conversely, what it is about Monaco lays within all of this somewhere. It is no exaggeration that among those 'brands' that make F1 what it is Monaco is right up there with the very most important. Maybe it is the most important. Even those who've never seen a motor race will have a reasonable chance of pairing Monaco with F1 in a word association test. Moreover, and like it or not, Monaco embodies much of F1's image, or at least the image which it likes to have of itself: glamorous, wealthy, eye-catching. Everywhere you turn in a Monaco Grand Prix weekend there is something visually captivating. It's no coincidence either that in terms of off-track commerce the gathering has long been considered the most important of the year. It's not all about stuff off-track either. With the possible exceptions of Spa and Monza no other current F1 venue represents such a continuous thread of motorsport heritage as does Monaco. The history of the place stretches back all the way to 1929 and the event literally is as old as street racing itself - prior to the inaugural Monaco gathering races took place either on country roads or on the burgeoning permanent autodromes such as Monza's. Before we knew it the legendary Achille Varzi and Tazio Nuvolari were indulging in duels around the houses that went into folklore. The circuit that survives today isn't all that different to that of 1929 either. All of the sport's revered names have raced here; most have excelled. Some of the performances remain fresh and sharp in the memory years on. And even with the criticisms outlined no other event on the modern F1 calendar is such a driving challenge - a challenge of precision, bravery and concentration. Nowhere else is the driver able to make such a personal difference over and above their machinery. Nowhere else is there such a likelihood that even the smallest error will be punished definitively, a characteristic that's grown rather rare in this age of the car park run off area. Plus while the race is the slowest of the season nowhere else do you get a greater impression of speed of a Grand Prix car, as they flash between those near-at-hand barriers. Not for nothing either are many of the sport's giants of past and present multiple winners at this track. And to take ourselves back to the words of the inimitable Senhor Piquet, his celebrated Monaco line rather than said in contempt was in fact said with admiration; he followed it up with the view that a victory on the streets of the Principality is worth two anywhere else. Somehow too Monaco is a place where things happen. While certain other tracks are associated with soporific fare somehow despite everything said that cap doesn't quite fit races here. 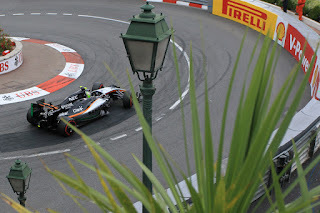 The previous two visits should have been tepid Mercedes walkovers, yet two years ago we had Nico Rosberg notoriously ending all qualifying efforts early with his trip down Mirabeau's escape road. Last year we had Lewis Hamilton and Merc, cruising to the win it seemed, somehow dropping and smashing the precious vase by bringing him in for an extra and unnecessary stop. The fight might not come from its usual antagonist either of Ferrari but rather from Red Bull. An Autosport analysis published after the Spanish race, combining trackside views with GPS data, had the RB12 as "definitely the best chassis on the grid now...peerless under braking, super-stable at high-speed and particularly strong at entering and transitioning through the slow stuff." Chassis performance, particularly at low speed, is what counts at Monaco while the Renault horsepower deficit to the Merc won't be punished nearly as much as usual. It's handy too that Monaco follows on from the Spanish round as the tight final sector there is considered a useful guide to likely Monaco pace. 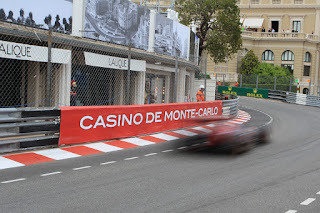 There in qualifying the Mercs remained one and two - a reminder that the best car remains the best car, even at Monaco - but the Bulls were three and four and Daniel Riciardo was only around two tenths off the pace (though that over a lap extrapolates to six tenths). Ricciardo's put in some attacking drives at Monaco in the past while his new team mate Max Verstappen's ability to get down to sharp-edge pace immediately last year having never seen the place before was something to behold. Both without championship considerations and this rare opportunity for victory should be throwing caution to the wind - precisely what you need around the Principality ("You can be sure that Max and I will both be ragging it in Monaco" said Ricciardo inimitably in recent days). It's thought the team will have an upgraded power unit for one of its drivers too, which was predicted in advance to give it another 50bhp. That it's brought its original timetable of debuting it in Canada forward by a race presumably bodes well too for how it ran in Barcelona testing. Is Red Bull the team to watch this weekend? The sector three times from Montmelo have an intriguing presence next up, with Fernando Alonso fifth. McLaren is another that can identify Monaco as the chance of a particularly strong result, and for similar reasons to Red Bull. Its notorious Honda power shortage won't be exposed as much as elsewhere while also the Peter Prodromou machine is thought to be particularly strong in slow speed grip. Some indeed last year had it as the fastest of all through Mexico's stadium section as well as through Spa's La Source hairpin. Beating Mercs and Red Bulls is likely asking too much but a weekend comfortably in the top ten is a more than reasonable aim. Eric Boullier has indeed said that "on paper we could be between six and eight", perhaps ahead of a Ferrari or two. Boullier suggested that Toro Rosso could be in the mix also. Still we should not write Ferrari off. Despite the Spain result it looked clearly quicker than Red Bull in the race - qualifying it seems was indeed an aberration - while Sebastian Vettel clung to the Mercedes coattails throughout last year's Monaco race, arguably going a long way to forcing the team's notorious error. Interpreting sector three times from the Spanish race is harder for a number of reasons (not least because of the absence of a Mercedes benchmark...) but therein Ferrari was right up there and beaten only by Daniil Kvyat and Ricciardo who both made their final tyre stops later. In an odd statistic however the Scuderia hasn't actually won at Monaco since 2001. As for intra-Merc form, while it's easy to forget Nico has won on the last three visits to Monaco as well as finished a very close second the year before that. So he's got a fine record here, though his critics will point out that the last two have arrived in, erm, unusual circumstances. Yet we shouldn't dismiss Lewis either, whose brave, precise and acrobatic style will serve him well in the Principality's like-no-other challenges, and he will give at least as good as he gets. He also rather took Nico to the cleaners here last year before, you know, that. He's another though with a curious recent absence of Monaco success - he hasn't won here since 2008. There's unlikely to be much strategy variation as all will try to keep stops to a minimum and prioritise track position, given everything. Lewis indeed demonstrated this in graphic terms last year that even with a massive new tyre advantage overtaking is not really on any agenda. Adding to this, despite its acrobatic appearances tyre wear is actually very low here due to the low speeds. One-stoppers barring disasters therefore can be expected, though we have the new Pirelli ultra-soft tyre on show in a race weekend for the first time. Most runners have piled high on them, presumably aiming for a one-stopper starting on the ultra-soft then switching to the super-soft, which did around half the race distance pretty comfortably here last year (Valtteri Bottas got 42 laps out of a set). Like last year too the timing of the single stop may be based on a safety car appearance (which is likely here, at around an 80% chance) or else an opening of space on the track behind to drop the car into (perhaps less likely). But in Thursday practice there'll be many frantic calculations on how the new ultra-soft compound behaves for real. 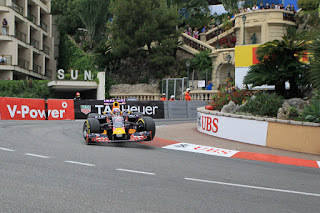 Last year most thought they could have done an entire race distance at Monaco on the soft tyre, had that been allowed, and it'll be interesting to see if any cars out of position this time try a marathon stint on them, as Carlos Sainz did last year after he had to start from the pit lane due to missing the weighbridge in qualifying. He made his only stop on lap 12 then ran on a single set of softs to the end, picking up the last point for his troubles. As intimated though, few this time have many sets of softs to play with. 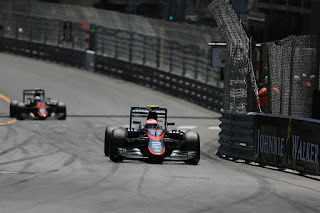 At Monaco too there is always the possibility of rain, and long range forecasts have showers around on race day. We must be due a wet race here, having not had one since 2008. If the rain does come down here then really all bets are off. Monaco's a nice change from Grand Prix racing, as Clive James opined with layers of irony. But, this time, it could well be that the change will be genuinely a nice one.